​​​Pet Insurance or ​Veterinary Discount plan​? What is the difference between pet insurance and a veterinary discount plan? ​Maybe you haven't heard of a veterinary discount plan? ​​I think it is a fair statement to say that most people ​are looking ​at​ cost when it comes to pet insurance and that is before all the other insurance type matters come to hand, like exclusions and filling in forms. Just the word "insurance" conjures up things I don't really want to ​think about but that is probably just me. ​​With traditional insurance the normal practice is to ​pay a premium​, visit the vet when needed and then submit claim forms and wait for reimbursement. Pet Assure is a little different. Pet Assure ​is a Veterinary Discount Plan. They have been helping pet owners save on their veterinary care since 1995. Members receive an instant 25% discount on in-house medical services at participating veterinarians. All pets are eligible. There are no exclusions on type, breed, age or health condition of your pets. ​How Will You Benefit From Having Cat Insurance? ​Sometimes a checkup can reveal a condition that needs further investigation and therefore often more cost. How often have you heard a work colleague or friend bemoan the expense of a visit to the vet for an unforeseen procedure or operation? Below are some of the most important benefits of pet insurance that may convince you to think twice about ​using a discount veterinarian plan. We love our pets, they ​are part of the family. Often they are the only family a person will have. We will pay what it takes for vet bills when needed but it isn’t always easy to meet veterinarian costs and this can be a true financial burden. Consider how you would deal with an emergency bill. For instance, your pet may be a senior and with some policies older pets ​cost more to insure. More alarming is the fact that often cats are too old to insure at all and it is at that stage of life when visits to the vet and vet bills start to mount up. Senior pets are the category of pets most likely to need medical treatment at any given time. Our dear old cat, recently passed away. There is no doubt that in his old age he did require more medical help and thus more trips to the vet and more cost for us. He ​developed diabetes at around age 14 which required regular visits to the veterinarian clinic to check insulin levels plus the cost of the twice daily insulin injections. He also took a form of Prozac so more cost. There were also countless other checkups and minor ailments that all required a trip to the vet. It’s curious that as a society we are comfortable spending tons of money on the right foods, right bedding, and all the toys your pet can keep count of, so why are we slow or even reluctant to embrace the idea of pet insurance. With pet plans starting at $6.58/month, saving on your pet's veterinary care has never been easier. Click here to join risk-free. Restrictions with pet insurance are mainly concerning pre-existing conditions. A pre-existing condition is a condition that the cat already has even though you may never have been to the vet regarding the condition. If the cat is diagnosed before the waiting period is up, the pre-existing condition will not be covered. I didn't feel a thing! Do I get my treat now? When it comes to pet insurance, Pet Assure​ ​ offers simple and affordable access to ​ veterinary care. However, compared to ordinary pet insurance, Pet Assure has no deductibles and annual limits. A deductible is the amount that you have to pay before ordinary pet insurance kicks in. You have your own Pet Assure ID card. It is that easy! There is an instant 25% discount on in house medical services at participating veterinarians. All pets are eligible regardless of age, type or health. Pet Assure has been serving satisfied pet owners for over 20 years and grows its fan base on a daily basis by offering discount plans that help everyone save on their pet care. By paying a minimal annual fee, anyone can easily access pet care on​ a budget. With a Pet Assure membership, you also get lost pet recovery program for free. 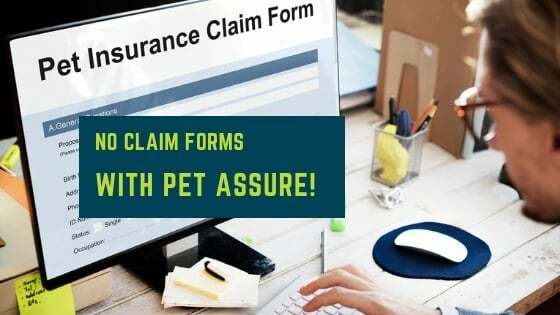 Although Pet Assure sounds like an insurance plan, it actually offers discounts to pet owners when they visit any of the veterinarians within its huge network plus discounts on grooming, pet supplies, training and other services. It is always important that you schedule a vet's appointment for your cat or any other pet to get the necessary shots that will prevent disease in the future. With Pet Assure the ​discount is given when visiting the vet, so ​there is instant relief from financial pressure. The discount is applied at the veterinarian clinic so there are no forms to fill in and submit. For everyone who dislikes filling in forms (like me, I think I have a problem) this is a big plus. Every Pet Assure plan offers pet owners a 25% discount on veterinary care from a long list of veterinarians in its extensive network, and pet owners get a 5-35% discount on pet supplies and services ordered from various online merchants and providers of pet related merchandise. Signing up to the Pet Assure plan is the easy part. All you have to do is visit the website, select the plan you need and proceed with the plan’s monthly or annual fee. In all cases, you get instant coverage as soon as you sign up and you can save some money when you pay the annual fee as it not only saves you the processing fee, but also gives you a two-month free access to one of the most popular pet insurance providers in the market! ​My pets​ and I'm sure yours too have always been very much a part of ​the family, which means I take care of their health just as seriously as I do everyone else's health. If this is the case for you as well, then you might want to consider adding pet insurance to your pet’s budget as well. Previous Post Why Cats Sleep Between Your Legs Next Post Why Does My Brazen Cat Scratch Me? It’s a Full On Assault!